2 "plays" in the grappling section of Mair. It's interesting how close the strategies are to Heian Shodan/Pinan Nidan, they could almost be the opening movements of the Heian and Pinan katas. Heian is very similar while Pinan is reversed but I think the basic principle is the same. It's also interesting that these are also the first 2 "plays" in the treatise against a very common type of attack. 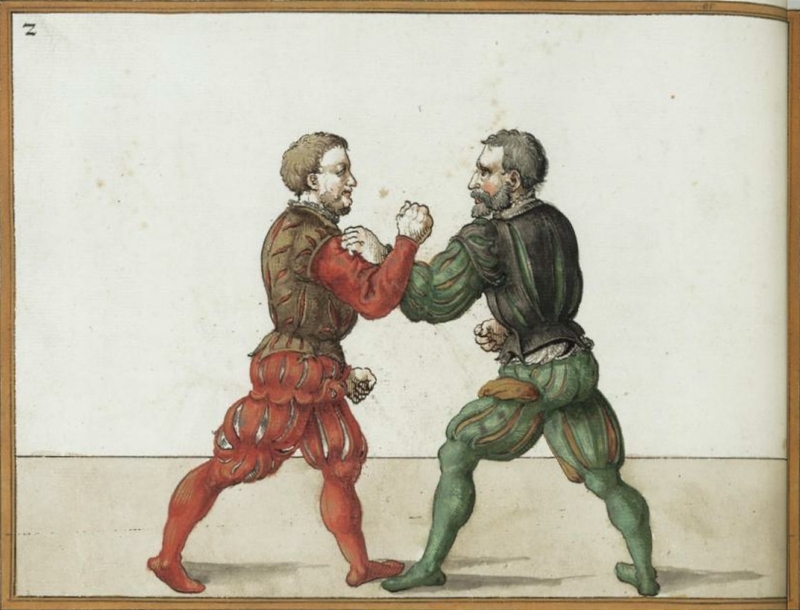 Do as follows in this technique: stand with your left and right arm as described before, so that you may see what your opponent is up to, your left foot forward, and your left hand closed beside your left leg. 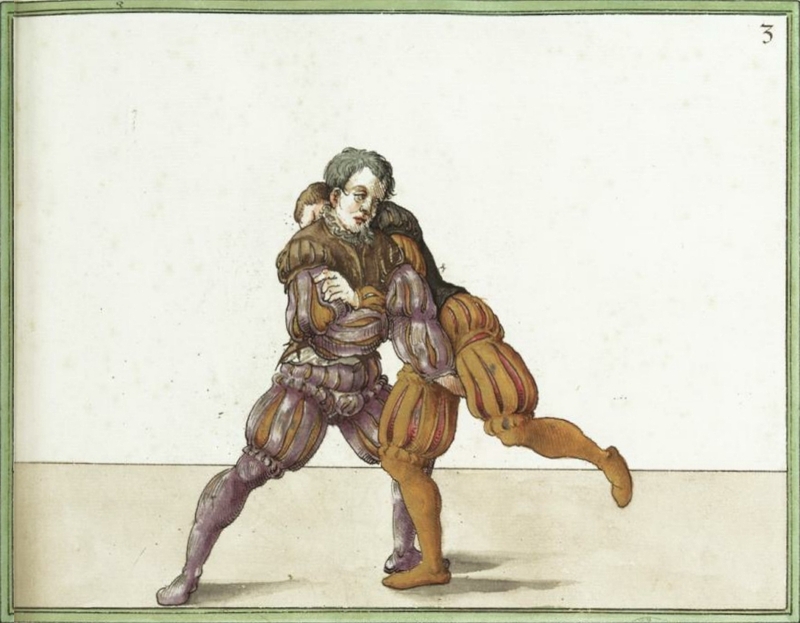 If your opponent advances on you like this and grabs you by the right shoulder with his left hand, then wind your right closed hand on the outside over his left arm and press down, that way his attempt is countered. * Latin: The first technique where the opponent is thrust away by the elbow, and the endeavor of his arm is weakened. If your opponent advances upon you as mentioned above, then use this technique: reach over his left arm with your left arm and grab hold of the inside of his left leg just above the knee, and step behind him on his right side with your left foot. Now, do keep in mind that your stepping and grabbing him are done at the same time, and fast. Do that, and you will throw him over. Note also that this technique can be done from both sides. * Latin: Bolt hold wrestling. Love these Western / Eastern comparisons! There truly is nothing new under the sun.